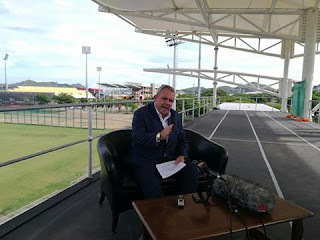 Papua New Guinea Sports Minister Justin Tkatchenko says the letter from World Rugby is insulting to the governments efforts to develop the code in the country. "Considering the amount of support that the National Government through my Ministry has assisted PNG Rugby Union with, through funding, logistics and infrastructure over the last four(4) years, I find the letter insulting". he said. Government continues to be the primary stakeholder in Sports Development especially in Papua New Guinea given the socio-economic status of our country. Unlike other countries, Seventy(70%) of sports is captured in rural areas and Corporate support is very minimal, hence Governments involvement through the Sports Ministry.
" Over the last four(4) years since 2012, my office has funded under the Sports Enhancement Program, Junior Rugby Development Programs, local Teams/Clubs and Rugby 7s Tournaments at a total just over K400,000. This is aside from the occasions that my office has had to step in to fund and ensure that two(2) FORU Cup campaigns were a success through Logistics, and National Team preparations. In addition we have supported our National Teams International preparations and participation. This over four(4) years amounts close to K500,000." National Government committed to build PNG Rugby Union a home, as part of infrastructure for the 2016 FIFA Womens Under 20 World Cup. This world standard facility now stands at a cost of K16mil and is ready for official handover to Rugby Union. The National Governments commitment to Sports since 2012 is also now evident in state-of-the-art sports infrastructure that was built for the 2015 Pacific Games and will remain a legacy for our sportsmen and women. As part of the current Governments commitment to give Sports in Papua New Guinea an opportunity to reach greater heights, we must remain a greater stakeholder, to ensure that the interests of our sportsmen and women remains paramount. A greater reason why Government must remain the greater stakeholder is the lack of sufficient resource and funding for sports over the years, that eventually results in the lack of progress or further development in Sporting codes. To use Rugby Union as an example, we understand that a higher rank for PNG will ultimately mean greater funding sufficient to fund its programs. To achieve that high ranking, the onus is on PNG to do all it can locally to be able to compete on the world stage, and that therefore is why Government must remain a greater stakeholder. Furthermore, poor administration and management of sporting codes in the country has been of grave concern, that we must make it our business to ensure proper mechanisms and foundations are set, and performance results mirror this, and that we are assured that the game and the players are in good hands.